Ignorance is like a delicate exotic fruit; touch it and the bloom is gone. 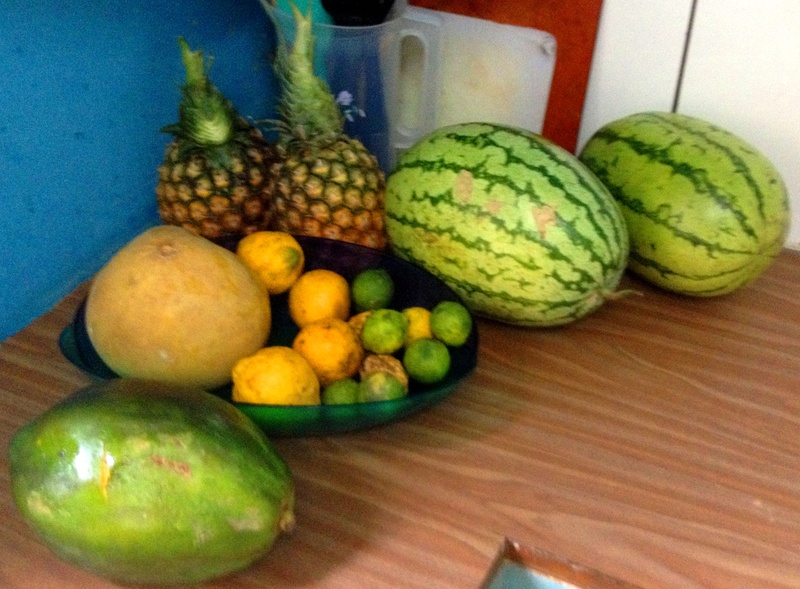 One of the many joys of living in Tanzania is the amazing fruit you can buy, for next to nothing. Back in Blighty people struggle to eat their “five a day” but here you can get your quota in, just for breakfast. At the moment, my breakfast selection includes papaya, coconut, orange, tangerine, passion fruit, watermelon, pineapple, avocado, banana, lime, grapefruit and lemon. Some of which even grow in our garden. I couldn’t resist painting them, as they are such bright and attractive colours. And I’m sorry if you clicked on this blog post to find out some fantastic Oscar Wilde reference as there is none. Thanks Brenda… I have become obsessed with passion fruits – they are the most delicious thing I have ever eaten. I have had custard apples before, but not since I’ve been here. I must get my hands on some.